New York’s emerging electronic three-piece CASH CASH—which consist of best friends and brothers, Jean Paul Makhlouf, Alex Makhlouf and Samuel Frisch—has taken dance music enthusiasts by storm with their vibrant remixes and energetic electro-pop originals. Cash Cash produced Krewella’s current single, "Live For the Night" among a series of successful remixes for Nicky Romero ("Symphonica"), Capital Cities ("Safe And Sound"), Vicetone (“Heartbeat”) and Krewella ("Alive"), as well as Bruno Mars (“Treasure”), Calvin Harris (“Let’s Go” ft. Ne-Yo) and most recently for Showtek (“Booyah”). With two successful Spinnin’ Records singles under their belts ("I Like It Loud" & "Michael Jackson"), Cash Cash signed with legendary dance music imprint, Big Beat Records—joining a diverse electronic roster which includes spans the gamut: Skrillex, Icona Pop, Chuckie, Chromeo, Martin Solveig, Flux Pavilion, Knife Party, Rudimental and Walden. Reigning on top of the Hype Machine charts (and recently landing #1 Popular Chart placement for their remix of Icona Pop’s “All Night,”) Cash Cash truly impresses with their originally produced material and celebrates the success of their own single, "Take Me Home" ft. Bebe Rexha. Since premiering on Nicky Romero's ‘Protocol Radio’ Sirius/XM Radio show, and later debuting as the “best new track… heard in a long time” by BPM host, Austin Kramer—the act has captivated dance music insiders and garnered international support from renowned DJs and producers (Tiesto, Hardwell, Nicky Romero, Morgan Page). “Take Me Home” which debuted with a top #25 on the Billboard’s Dance/Electronic charts and currently holds the #1 placement on FMQB’s Dance Radio charts, with a promising start to airplay on Top 40 radio across the country. 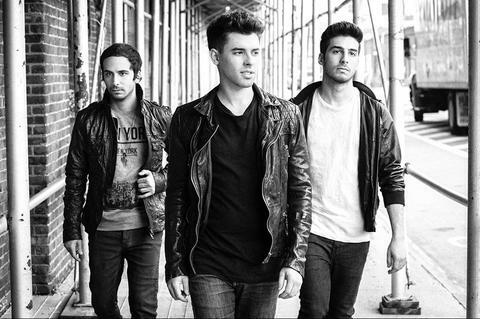 Cash Cash drop their “Overtime” EP on October 29th to all digital retailers—featuring a bevy of captivating vocals (Bebe Rexha, Kerli, Ella Eyre) and signature banging electro-house beats. From the studio to the dance floor, expect to hear more praise for this crowd-pleasing act from EDM to pop music fans alike.